Submission Grappling Tournament Florez Gym | MMA Fighting Events Videos Techniques UFC Fight Picks and News. With two matches done, I was in the semi-finals. My opponent was a strong wrestler. He scored a takedown and now, again I had to work from the bottom. I went for and an omoplata but he escaped and used his wrestling to gain good position in the scramble. At some point, I regained guard and then after a while the fight was restarted standing. He looked tired, but I just couldn't figure out a way to capitalize. With a minute remaining he scored another takedown. I began to set up another omoplata but the time was ticking and I was running out of time. I heard my brother in my corner yell out "15 seconds". I had no choice, it was now or never! I went for the omoplata, it looked tight, he was trying to roll out, and then the time ran out. Unfortunately he had amassed enough points during the match were a submission would have been the only way for me to win. I would have to win my next match to earn a chance to battle for the bronze. 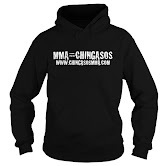 I gained top position relatively quickly and was able to apply and arm triangle. In my head I was thinking "finally, an easy match". I thought that too soon as this kid was tough as nails and the kid would just not tap. I had to apply and reapply the choke for probably around two minutes before he finally tapped. I was off to the bronze medal match. For the bronze medal, I would be matched up with the tank from the first round. Greeeeaaat! Seeing this guy again was like a nightmare. He was coming off a guillotine win and I knew he wanted redemption. He came after it too. He started the match with a classic double leg takedown from hell. The only good thing about that takedown for me was that It was so high off the ground I actually had time to think about what I was going to do as soon as I came crashing down. When he finally planted me on the ground I quickly gained butterfly guard and began to work from there. This time he was on to my leg locks, pulling his legs out and away quickly anytime they were in the danger zone. He was using his strength, and I was having trouble finding a way around it. At one point I shot a triangle attempt but our proximity to the ropes and being at the edge of the ring stifled that. The match ended in a tie and on to sudden death we went. First to score point would win. I shot in for a double leg and failed. I ended up in a guillotine attempt. I must say it was pretty tight, but I've fought off my brother's guillotines which are death grip status so I figured I would just wait it out. I felt my head about to pop off and I knew I better go for the reversal now before it does. I went for it full force and ended up on top. Since it was sudden death, that scored me the win and the bronze. Now it was time for the open weight division. I needed one win to make it to the finals. I didn't have much left in the tank and I would be facing heavier opponents, but I was willing to put it all out there. My first match went well. I wanted to conserve energy and following my brother's instructions I made sure to remember to score points. So as soon as I was able to take mount, I stayed there and conservatively went for submissions from there. I was able to ride out a points win. I was on to the finals. In the finals I would face a strong wrestler that had about 30 lbs on me. He was wiping the mat with his opponents in his previous matches and I knew I was in for another tough one. It was time to strategize. I figured I had about two good minutes left in the tank, so I would waste no time, pull guard and work from there. As soon as the match began, I went in for the clinch and pulled guard. He was strong and I knew I had to go to work. I was able to lock up an omoplata. Unfortunately I ended up at the ropes and edge of the ring and had no where to go. We stayed in that locked up position for a while but I knew I would have to try something else. After a scramble he ended up in my guard again. I tried locking him up and he used his strength to try slamming his way out. Slamming like he did was illegal and they restarted us standing. Restarting standing wasn't exactly to my advantage but I now had to deal with it. I pulled guard again to keep him from scoring a takedown. I worked from there but nothing came out of it. The match ended in a tie and once again I was headed into sudden death. This was my seventh match, and my second time going into a sudden death time period, to say the least, I was exhausted. I talked it over with my brother in the corner. There was only one way to win this one. An all out takedown attempt. As the overtime sudden death period began, I closed in. I set up the opportunity and then in an all out effort I went for it! At the same exact time he also went for it! We crashed into each other like to wild rams and wrestled back up to a standing position. No one had scored and we were still tied. While I sat back and thought about my next move, he did the smart thing! He went for another double leg takedown and scored it with. He took the match and the big 1st place trophy. 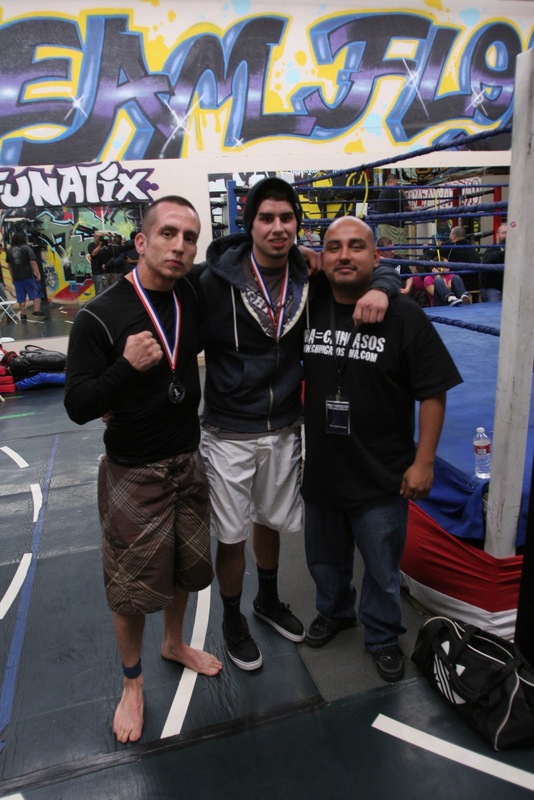 Competing at the Florez Gym was fun, the competitors were all good sports and I would definitely recommend competing at any event put on by Dee Martinez and or the Florez brothers.